Buzzn Bee is proud to harvest and distribute 100% pure beehive products, including our Unfiltered and Unpastuerized Florida Honey in Orange Blossom & Wildflower. We also offer Bulk Honey in 12lb gallons, as well as Bee Pollen and Pure Raw Honeycomb. Let us Bee Your Beekeepers. Click any item above to enter our online store. Based largely on his love of Mother Nature, beekeeper David Rukin formed Buzzn Bee Farm, Inc. in Gainesville, Florida in 1975. 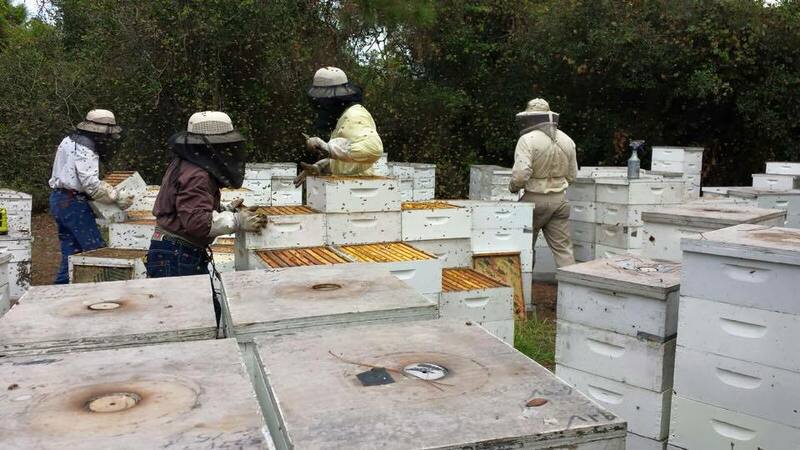 For more than a decade Buzzn Bee Farm served the local honey needs of North Florida customers. In 1993, recognizing the demand for quality raw and unfiltered honey, Buzzn Bee expanded statewide, dedicated to the production, packing, and distribution of quality Raw Honey and other Real Food from the Beehive, including Bee Pollen and Beeswax. We have apiaries throughout the state of Florida, including Palm Beach County, Martin County, Fort Pierce, Orlando, Gainesville, Jacksonville, and Tampa. Today Rukin still serves as Buzzn Bee's beekeeper, as well as handling the duties of President and Owner. In addition to developing and introducing the highly popular Sweet Squeeze line of honey products - both squeezable and recyclable - Rukin strives to minimize Buzzn Bee's environmental impact through recycling efforts throughout the production and distribution process. "Buzzn Bee Farm strives to do everything it can to be an earth friendly 'green' company," says Rukin. "I consider beekeeping to be a form of farming, and what industry is more dependent on the green earth than farming? In everything I do, I seek to be in harmony with the process." "Real food from the beehive is one of nature's most perfect and beneficial foods, and Buzzn Bee considers it a privilege to be dedicated to the production, packaging, and distribution of pure quality honey, bee pollen, and beeswax. It is the Buzzn Bee mission to promote and provide natural beehive products, thereby sharing the sense of well-being real food can help everyone attain."